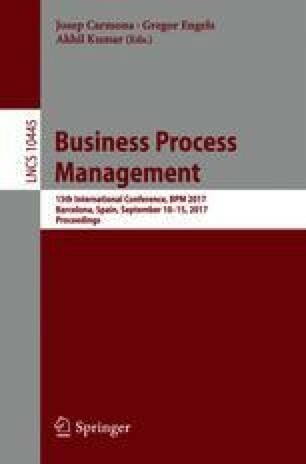 Analysing performance of business processes is an important vehicle to improve their operation. Specifically, an accurate assessment of sojourn times and remaining times enables bottleneck analysis and resource planning. Recently, methods to create respective performance models from event logs have been proposed. These works are severely limited, though: They either consider control-flow and performance information separately, or rely on an ad-hoc selection of temporal relations between events. In this paper, we introduce the Temporal Network Representation (TNR) of a log, based on Allen’s interval algebra, as a complete temporal representation of a log, which enables simultaneous discovery of control-flow and performance information. We demonstrate the usefulness of the TNR for detecting (unrecorded) delays and for probabilistic mining of variants when modelling the performance of a process. In order to compare different models from the performance perspective, we develop a framework for measuring performance fitness. Under this framework, we provide guarantees that TNR-based process discovery dominates existing techniques in measuring performance characteristics of a process. To illustrate the practical value of the TNR, we evaluate the approach against three real-life datasets. Our experiments show that the TNR yields an improvement in performance fitness over state-of-the-art algorithms.